Dakar 2012 was exceptionally difficult from the stand point of struggles both inside and outside sport. The rally brought a few surprises and again not all competitors managed to finish it. 471 teams reported to the start line and the number melted to 249 at the finish line. Today, though, Dakar 2012 is history. Entering the finish line in Lima was the most awaited moment of the 15-day rally. Among Poles, Rafał Sonik was clearly the best in the general classification. 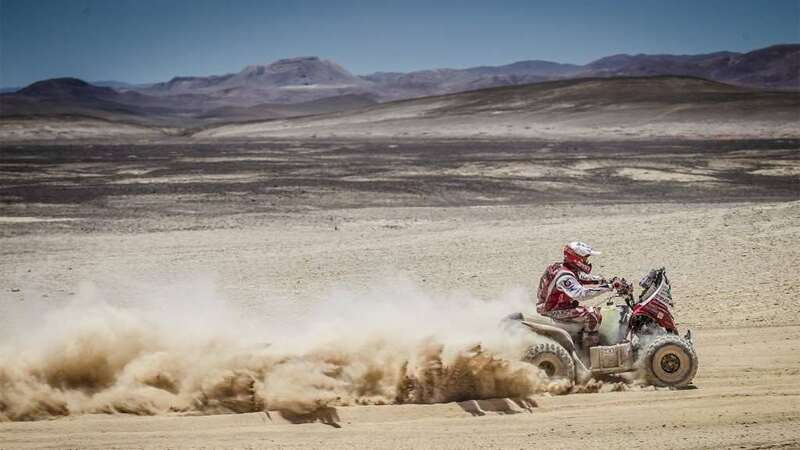 The quad rider reached the finish line 05:05:52 behind the winner of the rally, Alejandro Patronelli, which gave him the place just behind the podium of this year’s Dakar – the fourth place. However, the organisers decided not to recognize this result. This fantastic result, the fourth place, was recognized only after a trial before the tribunal in Lausanne, a year and a half later. – said Rafał Sonik just before the last stage. This year, twenty-one Poles took part in the event but only few managed to finish it. Krzysztof Hołowczyc, the highest ranking Polish participant, finished the last stage third and in the end ranked tenth in the general classification. Riding a motorcycle, Jacek Czachor was classified thirteenth and Marek Dąbrowski twenty-ninth. In the truck class, Robert Szustowski ranked thirtieth and Grzegorz Baran was thirty-fifth. The former ski jumper Adam Małysz finished the rally in thirty-eighth place and Piotr Beapure, participating in the same category, was classified as fifty-third. We congratulate all contestants and thank them for the emotions they gave their fans in Poland and in the world!